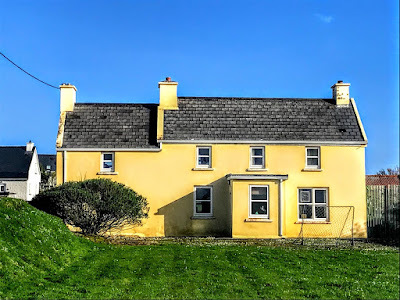 Everywhere in Ballinskelligs seems to be called after the Archangel Michael.He gives his name to the local GAA club, to Colaiste Mihichil, the Irish college I attended here over 50 years ago, to Skellig Michael, the monastic settlement on the Skellings Rocks, to the local school, to the local parish church, and to Saint Michael’s Well, which I found again yesterday afternoon behind the house in Dungeagan I stayed in as a teenager in the summer of 1966. Saint Michael’s feast day is on 29 September, Michaelmas, and in the past large crowds visited the well and pilgrims stayed for two days, with plenty of eating and drinking, sideshows and singing, as well as fighting in the street of Dungeagan. In the mid-18th century, the water at Saint Michael’s Well was thought to have miraculous powers. For pilgrims, there was a ritual linked with visiting the well. A visitor walked around the well three times, six times or even nine times, while praying the Rosary. On starting, the pilgrim was expected to take 10 stones and throw the tenth stone away. Each time the pilgrim had made a round, a stone was placed on the stone heap until nine rounds had been made. The right hand had to be on the well while marking the pilgrimage. Before leaving, a pin, a penny, a button, or a piece of cloth was left at the well or somewhere among the stones. The clergy did not approve of the pattern, not just because of the superstitions associated with it, but also because of the drinking and fighting. But the pattern was revived in recent years and some years it has lasted up to three days. 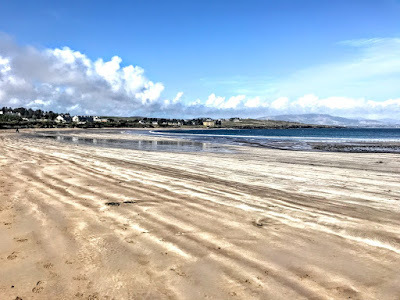 After arriving in Ballinskelligs late yesterday afternoon, I made my way down to the beach and out to the ruins of the old priory at the end of the beach. As teenagers, we were told that some of the graves were open, and that this was the true home of the monks of the Skelligs Rocks, so I decided to make my way out to this remote monastic settlement, and to explore its ruins for the first time in over half a century. These early Irish monks wished to emulate the sacrifice and the pure withdrawal into a life of faith exemplified by Saint Anthony who went out into the Western Desert in Egypt. 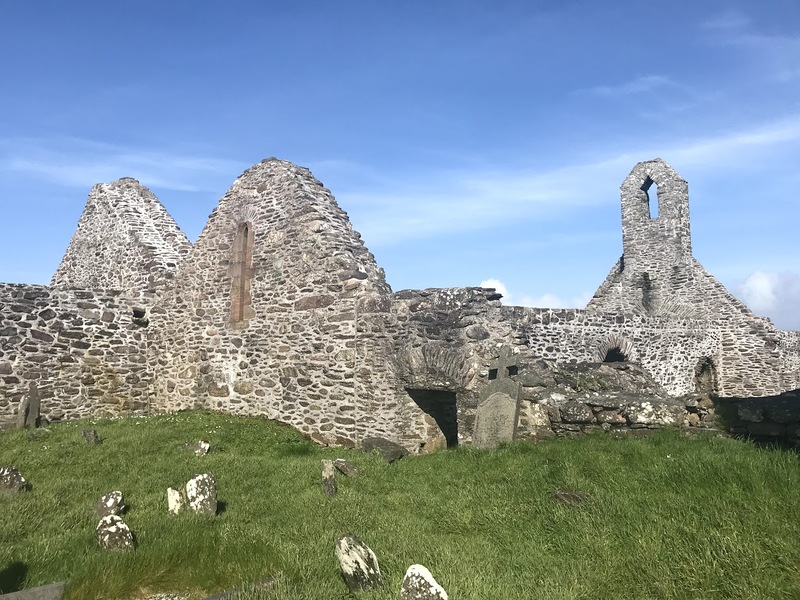 The monastic settlement on Great Skellig is said to have been founded in the sixth century by Saint Fionán, a saint from south Kerry who founded Innisfallen Abbey. The site attracted the support of the members of the local Corcu Duibne dynasty in Kerry, and there the love of God was brought to a new level, for no other Irish monastery was built in such a challenging location. While the monks settled on the rocks of Skellig Michael, they found a winter home on the mainland in Ballinskelligs. The first definite reference to monks on the Skelligs dates to the eighth century when the death of ‘Suibhni of Scelig’ is recorded. By the ninth century, the continuity and survival of life on the remote monastery was challenged with the arrival of the Vikings. 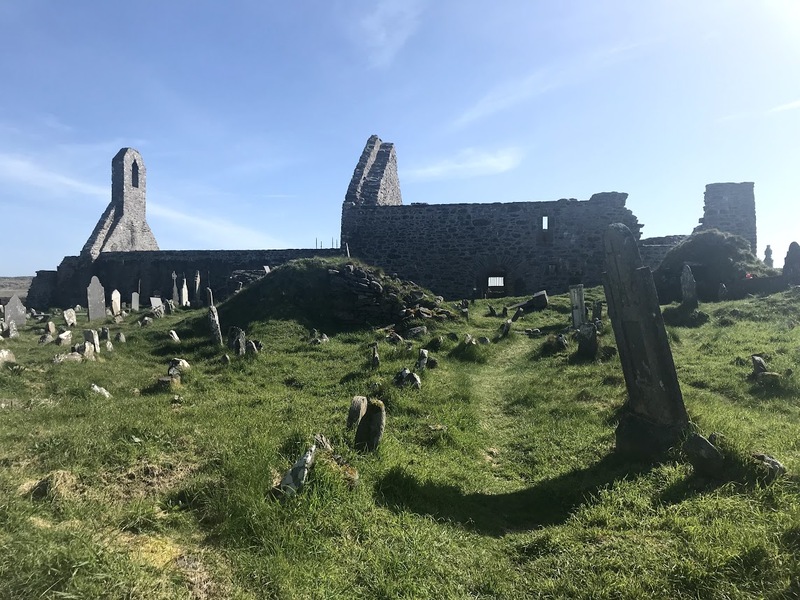 The flights of steps on three sides of the island, which had provided the monks with landing for their boats in different sea conditions, now gave the invading Vikings the opportunity to attack the monastic site from different sides simultaneously. 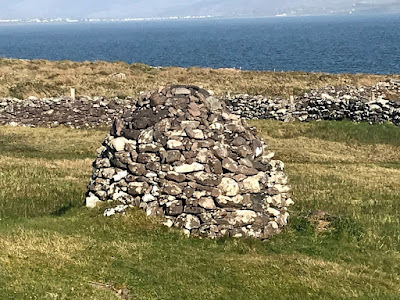 It is said that in 993 the Viking Olaf Trygvasson, later to become Olaf I, King of Norway, was intent on a raid of the monastery but instead was baptised a Christian by a Skellig hermit. His son, Olaf II, became the patron saint of Norway. The dedication of the monastery to Saint Michael the Archangel appears to have happened some time before 1044, when the death of ‘Aedh of Scelic-Mhichíl’ is recorded. It is probable that this dedication to Saint Michael was celebrated by the building of Saint Michael’s church in the monastery. The church of Saint Michael is mentioned by Giraldus Cambrensis in the late 12th century. His account of the miraculous supply of Communion wine for daily Mass in Saint Michael’s Church implies that the monastery had a large community at the time. The Church in Ireland Christianity was being reorganised along diocesan patterns in the 12th and 13th centuries. These changes in Church organisation and government, and harsher winter storms, forced the monks to abandon the island. By then, the monks on Skellig Michael had adopted the rule of Saint Augustine. Eventually, they left the island and settled on the mainland at Ballinskelligs, where they founded a new abbey. 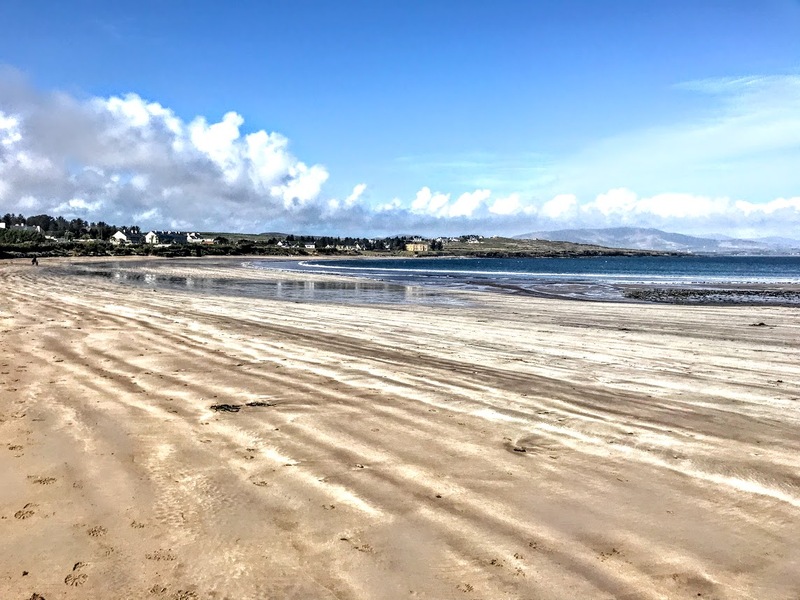 In the early 14th century, the Prior of the Augustinian Abbey at Ballinskelligs was referred to as the Prior de Rupe Michaelis, indicating that the island still formed an important part of the monastery at the time. A number of buildings, mainly from the 15th century, constitute the priory, including a rectangular church. The church and the other buildings were arranged around a central cloister, which had covered walkways for working and praying. Parts of the cloister and a large domestic hall still survive. The abbey is one of a number of important spiritual sites dedicated to Saint Michael in this area. 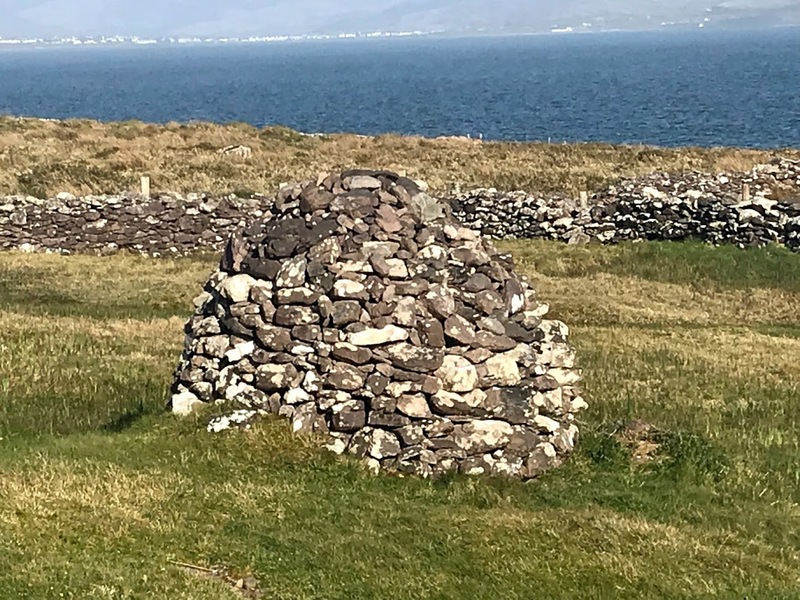 For visitors who come to Ballinskelligs as pilgrims or tourists, this remains a place of peace and prayer.